Don’t throw away profits! 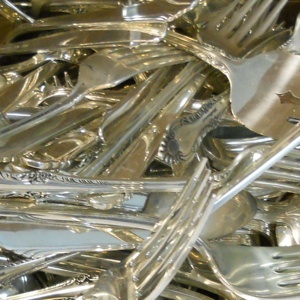 Recycle your silverware scrap with Specialty Metals, the top choice in the US for secondary refining of Silver scrap. Processing Time: Typically completed within 5 to 7 business days from date of receipt. What Kind of Silverware Can I Recycle? Forks, spoons, knives, serving pieces, teapots, platters, etc.